UNITED NATIONS ACADEMIC IMPACT AND MCN PROUDLY PRESENT ALEC BUTTNER, A MILLENNIUM FELLOW FOR THE CLASS OF 2018. "Many times, there is inadequate communication between the scientific community and the general public. I would love to help establish a healthy perception of science within my community to increase knowledge and strengthen the educational programs." 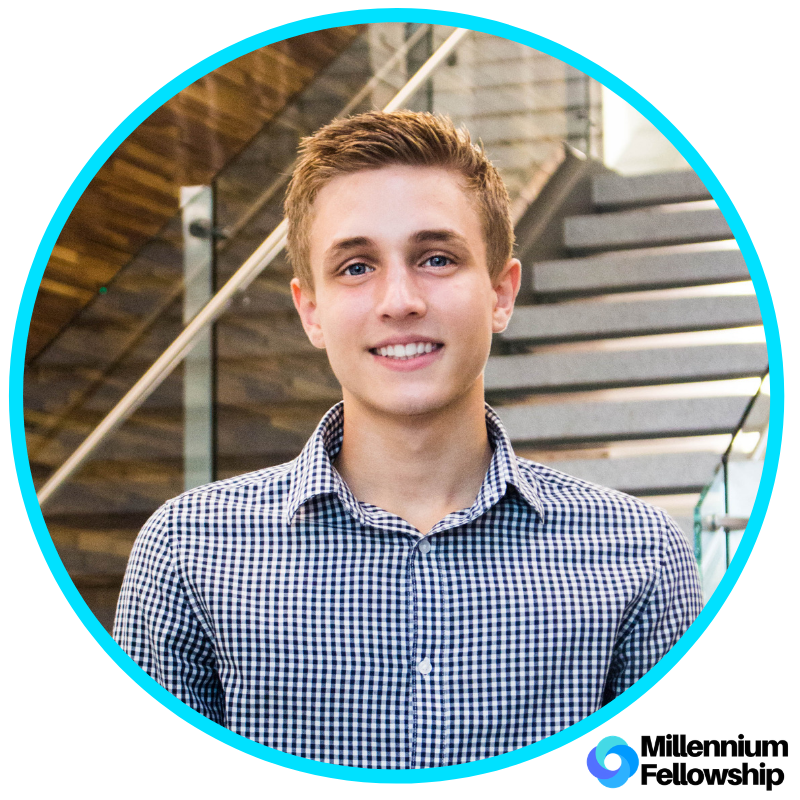 "Being a Millennium Fellow is very exciting because I am granted the opportunity to connect with other leaders worldwide. I am very fortunate to have the ability to collaborate with such a wonderful group of people and generate meaningful changes within our communities." The 1742 Model team plans to educate youth about what sustainable development means and why working towards achieving the SDGs is important for our world. While accomplishing this, the team will be showcasing the work our group will be doing over the course of the Fellowship to address food insecurity, housing insecurity, and LGBTQ+ partnership on their campus and in their community as examples of what can be done to help advance the SDGs. Alec is currently a Sophomore Biochemistry major at Moravian College in Bethlehem, PA. He is very passionate about Environmental Sustainability, LGBTQ+ Education, and community development. Through the Millennium Fellowship program, Alec hopes to help bridge the gap between scientific data/discoveries and the general public. Following college, Alec plans to attend graduate school and conduct research in the Environmental Science field.